The Grand Canyon North Rim is home to so many fascinating attractions. Favored by guests, the North Rim is known for invoking a sense of serenity and solitude. Grand Canyon North Rim Lodge. In this less traveled area of the Grand Canyon, you may find the majestic beauty easily warming its way into the heart. The Grand Canyon North Rims high mountain plateau allows guests to overlook the true beauty of the canyon, the rhythm of the trees, bird songs, and movement of wildlife. . Here are a number of activities and attractions that you must see while visiting the Grand Canyon’s popular North Rim. In the parking next to the ever-popular North Rim Lodge is the Visitor Center. A trip to the visitor center is an absolute must for the travel enthusiast. Here, you’ll have access to park information, detailed maps, as well as detailed exhibits that explore on the wonders of the Grand Canyon. There is a bookstore, as well as info on specific programs and activities, such as the Grand Canyon Ranger program. If you are a true explorer, this is the place to start when arriving to the North Rim. 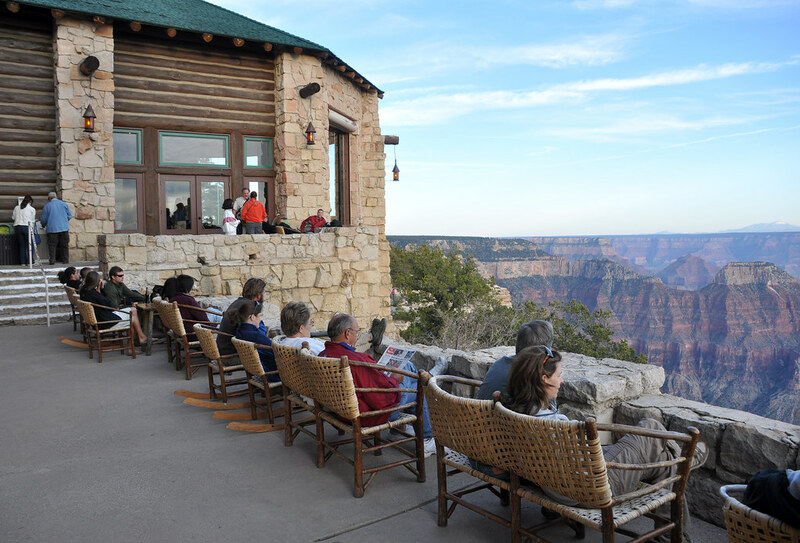 The historic Grand Canyon Lodge – which was constructed in the year of 1927 – is located in the North Rim. The carefully-crafted construction and the exquisite natural stone and high-quality timber materials beautifully complements the majesty and appeal of the national park. If you are seeking accommodations that offer excitement and top-quality customer service, this is the place! Spend the day exploring the Grand Canyon North Rim by air and on the ground. You’ll fly in an airplane to enjoy scenic views over Lake Mead, Hoover Dam and then the Grand Canyon. While you’re there, you’ll have the option to explore the North Rim on an all terrain vehicle. Follow your guide on a 4×4 trail through Whitmore Canyon and enjoy fantastic overlooks of the Colorado River. If you’re not the ATV type, you can choose the guided tour the Polaris van, that takes you to the canyons edge. It includes many stops on the rim for great photo opportunities. The scenery around the North Rim is absolutely stunning. If you are in search of an easy trail that offers a fast hike and direct access to this stunning scenery, you will absolutely love Bright Angel Point Trail. In total, the trail is less than a mile – going and returning. One of the key points of this exploration adventure is the fact that the view of the South Rim is absolutely stunning. In fact, this trail is one of the single most popular destinations for those seeking to capture the essence of the Grand Canyon through photography. Will you be staying at the North Rim Campground? If so, you should explore the 3-mile roundtrip through Transept Trail. Here, you will embark on a trail that winds gracefully towards the Grand Canyon Lodge. When you reach the lodge, you may then continue your adventure by exploring the previously-mentioned Bright Angel Point Trail. 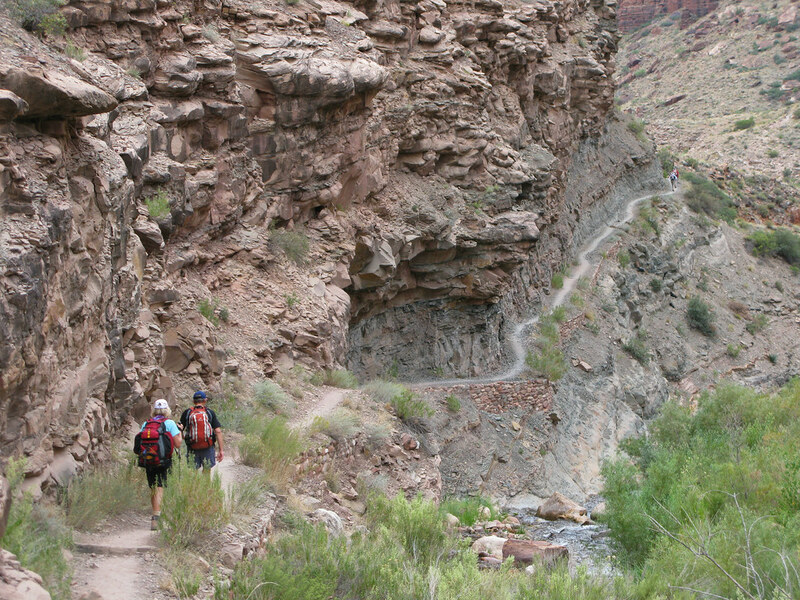 This is an exceptionally simple trail to travel that offers you views of some of the most beautiful aspects of the Grand Canyon national park. Are you in search of adventure, living on the edge, and adrenaline rushes? If you answered “yes”, the North Kaibab Trail is for you! This immensely challenging trail is not for everyone. It is shared with those exploring by mule, descends directly into the large Canyon, and does not offer any type of water source for guests. Not only will you get to explore Roaring Springs, the Coconino Overlook, and the Supai Tunnel, but, if you obtain an overnight permit, you may also continue your hike to the floor of the national park.